We offer custom vinyl flooring options in Asheville, NC that complement any style. Custom Vinyl Flooring in Asheville – If you are looking for an affordable flooring option that will transform the look and feel of your home, check out our options of custom vinyl flooring. At Wright’s Carpet, we offer custom vinyl flooring options that complement any style, whether you want the look of hardwood, tile, or something else. Since we have custom options, you can choose flooring materials that will look unique and inviting. There are also a number of benefits to choosing vinyl over other flooring materials. This type of floor is very durable, so those who have kids and/or pets will appreciate that it won’t get scratched or dinged. It also helps to resist stains, which makes it an excellent choice in kitchens and bathrooms. If you spill water, you can simply wipe up the water instead of worrying about warping or other issues that can occur with other types of flooring materials. 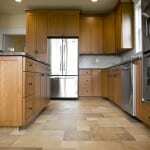 Custom vinyl flooring also cleans easily, so you can do some basic maintenance to keep it looking like new. It won’t fade or become discolored, even if it has constant sun exposure. If you are interested in learning more about the custom vinyl flooring options available from our team at Wright’s Carpet, give us a call or stop by our showroom in the Asheville, North Carolina area. 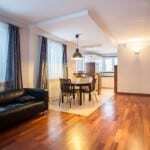 With more than three decades of experience in selling and installing floors, we are the team you need to change the look of your home by replacing your floors. At Wright’s Carpet we offer quality custom vinyl flooring for customers in Asheville, Swannanoa, Hendersonville and the surrounding areas of North Carolina!